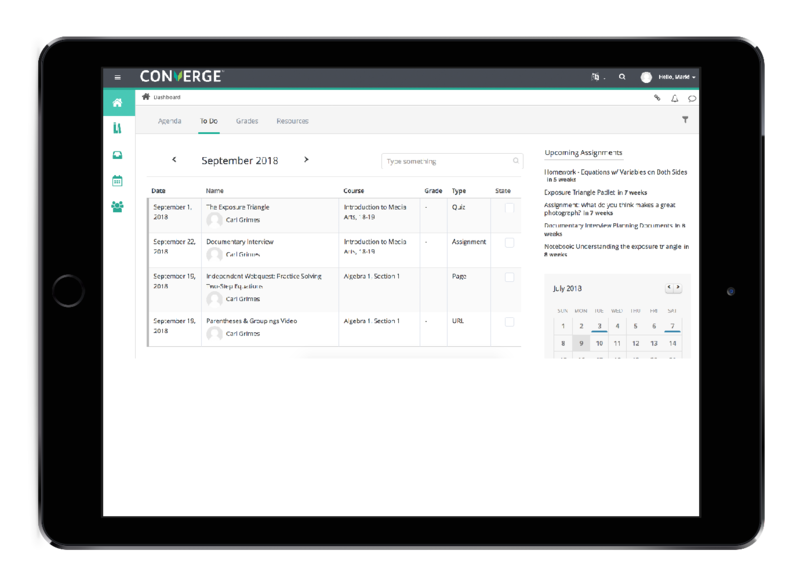 Quickly populate courses with Converge's simple content creation and integration tools, with drag and drop functionality, embedding capabilities, and a robust text editor for on-the-spot integrations. 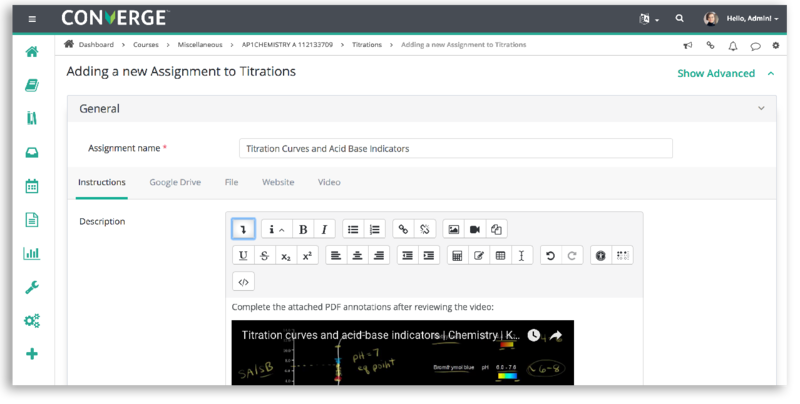 Create and integrate assignments, assessments, surveys, discussion boards, announcements, resources, and more all from one centralized and intuitive platform. Facilitate differentiated instruction with grouping options and provide opportunities for students to control pace and delivery with open access to resources. Assignments can be submitted in any format to demonstrate understanding and learning mastery. 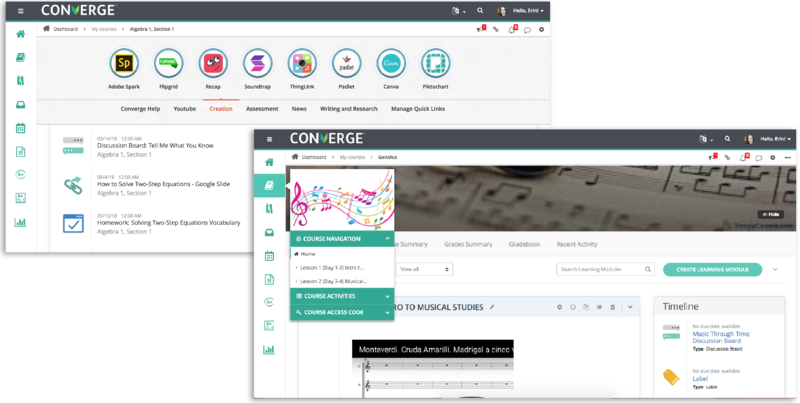 Easily locate and connect open educational resources through LTI integrations to enhance student learning and fuel dynamic instruction. Connect to Google Drive and Microsoft OneDrive to access and connect files without ever leaving the Converge landscape. No more digging to find content. Clear course scaffolding indicates the learning path and interconnectivity of resources. Re-order, hide, and nest content with ease. Side navigation menus display modules and accompanying activities for seamless transitions. Construct your course however you desire. Modules? Units? Weeks? 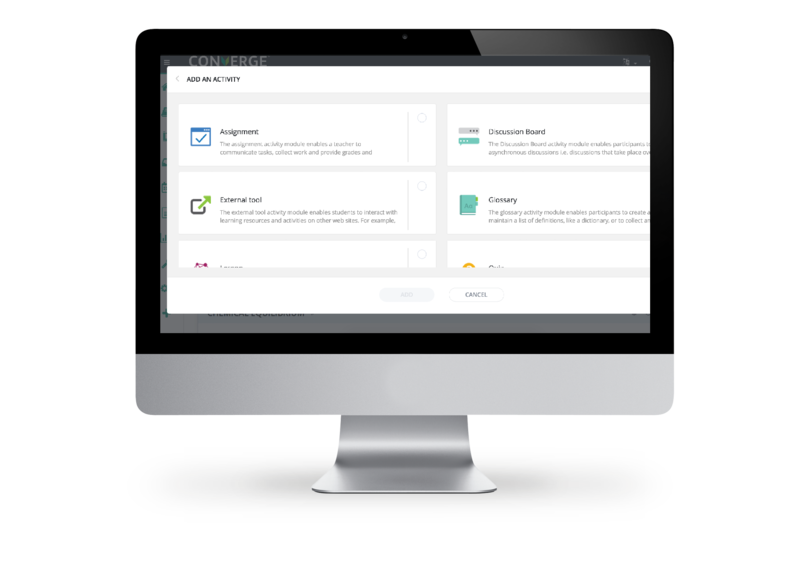 Our flexible interface allows for a customized learning environment. A parent portal provides opportunities to engage families in the learning process for a better school to home connection. Encourage students to share ideas with individual and course blogging features.